starting onions, a photo by skills0 on Flickr. Yesterday I bought seeds for this year to replenish our stock and thought I’d write down a couple of interesting observations. Last year we were planning to have a large garden for the first time and we went a little nuts. Bought tons of seeds and I think we ordered from 4 or 5 different companies. I think for the most part we used everything we bought and were pretty happy with most of it. This year we decided to go a little simpler and decided to buy everything from two companies, High Mowing (a local VT company) and Baker Creek. We had a chance to visit High Mowing last fall for their “Field Days” and we were very impressed with their operation. Besides the plus of being local and thus having a higher possibility of getting seeds well adapted for our area, they are also doing some interesting seed development and hybridization work. As far as Baker Creek, we just love their selection and advocacy for heirloom and open pollinated seeds. One thing we decided to try for the coming year is to buy a few hybrids. We had a decent amount of trouble with various wilts, rusts and blights last year. We never did get zucchini going, although a lot of that was bug issues. A lot of the tomatoes ended up with various levels of disease, although some of that may be rectified by giving each plant a bit more space and pruning better. 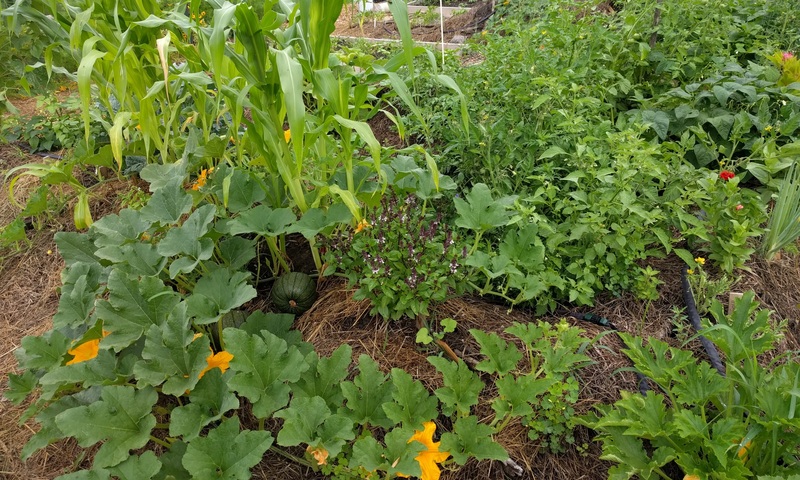 After a lot of experimentation last year, we are probably going to go a bit more basic this year until we have our own property with more room. That means we probably won’t grow cauliflower (takes a lot of room and we didn’t have much luck getting heads to form), popcorn (proved out we can grow it and also takes a lot of room), melons (not enough sun, difficult to get started and once again room) and soybeans (we’ll definitely grow these when we have the space). Should be another fun year and hopefully we can take what we learned last season and build on that.